ARLINGTON HEIGHTS – Area residents are invited to get acquainted with two of their state lawmakers during an open house Saturday in Arlington Heights. 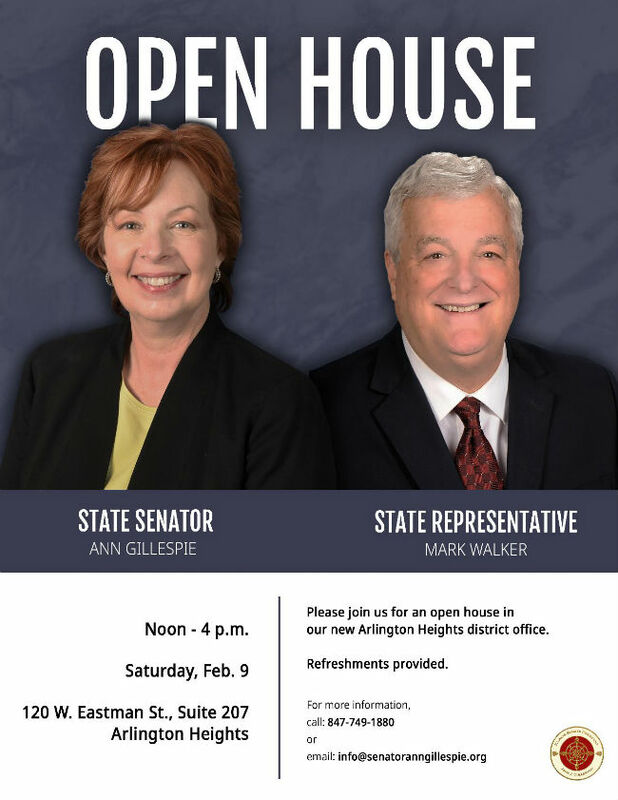 State Sen. Ann Gillespie and State Rep. Mark Walker, both of Arlington Heights, will host the open house at their district office, 120 W. Eastman St., Suite 207. The event will begin at noon and end at 4 p.m. Residents will be able to speak with the lawmakers about local needs and priorities for the spring legislative session, meet district office staff and enjoy refreshments. For more information, call 847-749-1880. SPRINGFIELD – Palatine-area homeowners and small businesses will see decreases in their property tax bills under a new state grant program that offers relief to school districts in high-taxed areas. The Property Tax Relief Grant was included in the historic school funding reform law that has already provided millions of dollars in new state funds to school districts that need it the most. Schools in the 27th Senate District have received nearly $1.2 million in additional state funding in the new formula’s first two years on the books. Township High School District 211 in Palatine is eligible for a $1.3 million grant under the program, the Illinois State Board of Education announced Tuesday. To receive the state grant, eligible school districts must submit an abatement resolution to their county clerks by March 30. The State Board of Education will then distribute the grants once receiving all abatement certificates. ARLINGTON HEIGHTS – State Senator Ann Gillespie, who represents communities in the northwest suburbs, has established a district office in Arlington Heights and a legislative office at the state capitol in Springfield. Hours at the district office are 9 a.m. to 5 p.m. daily. Plans for an open house are in the works. The senator also can be reached through her Facebook page, www.facebook.com/senatoranngillespie, and through Twitter at @sengillespie. In addition, Gillespie has received Senate committee assignments for the current term of the General Assembly. She will serve as vice chair of the Commerce and Economic Development Committee, and she will serve as a member of the Appropriations I, Education, Insurance, Judiciary, and Government Accountability and Pensions committees. Gillespie represents the 27th District in the Illinois Senate, which includes Arlington Heights, Barrington, Des Plaines, Hoffman Estates, Inverness, Mount Prospect, Palatine, Prospect Heights and Rolling Meadows. SPRINGFIELD – On the anniversary of the landmark 1973 Roe v. Wade decision, State Senator Ann Gillespie is urging Illinois women to continue fighting to protect their health care from government intrusion. Gillespie praised Gov. JB Pritzker for issuing an executive order today enforcing House Bill 40, which protects a woman’s right to choose in Illinois. The 2017 law removes the “trigger” provision from a 1975 Illinois law that would reinstate previous state policy banning abortion in the event that Roe v. Wade is overturned by the U.S. Supreme Court. Additionally the law allows abortion coverage for individuals on Medicaid or covered by State Employee Health Insurance plans. 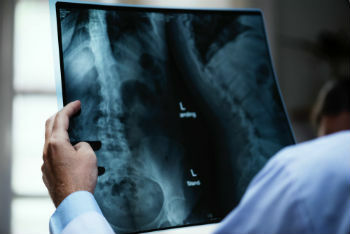 Prtizker’s order directs the Department of Central Management Services to ensure all state employee health benefit plans include that coverage by July 1, 2019.